Following up on the sudden news that December-quarter earnings will be lower than predicted by between $5 billion and $9 billion, Apple CEO Tim Cook promised future changes in a memo to employees. 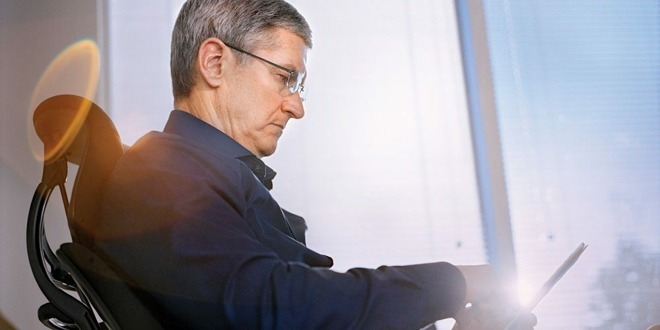 "External forces may push us around a bit, but we are not going to use them as an excuse," Cook wrote in the memo, obtained by AppleInsider from a source not authorized to speak on behalf of the company. "Nor will we just wait around until they get better. This moment gives us an opportunity to learn and to take action, to focus on our strengths and on Apple's mission — delivering the best products on earth for our customers and providing them with an unmatched level of service. We manage Apple for the long term, and in challenging times we have always come out stronger." The memo otherwise reiterated many of the claims in his bombshell letter from Wednesday, blaming weaker-than-expected iPhone sales on "macroeconomic" conditions, as well as problems "specifc to Apple and the smartphone industry." In the letter Cook specifically highlighted China, noting that the entirety of Apple's revenue shortfall can be traced to the country. He also however blamed factors like a strong U.S. dollar, fewer carrier subsidies, and even people taking advantage of discounted battery replacements, which some saw as an admission that the company depends on degraded batteries to spur upgrades. Confirmed in the memo are plans for an "all-hands" meeting on Thursday, set to take place at 9:30 a.m. Pacific time. Because of construction work at Apple Park, the meeting is being held in the Town Hall at 1 Infinite Loop. "I'll have more details about the quarter, and I'm looking forward to your thoughts and questions," Cook concluded. Some have seen the new guidance — revised from between $89 billion and $93 billion to just $84 billion — as evidence that Apple has finally pushed iPhone prices too high, starting the XR at $749 and the XS at $999. That's a hard sell in markets like China, where brands like Huawei and Oppo are now offering mid-range and high-end phones for hundreds less.